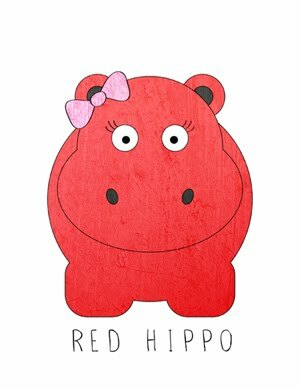 Red Hippo: notes on fear. fear is one of those nasty little things that can eat away at my serenity. i would say that i have to work daily at living in the present and not living in the future. when i'm living in fear, i'm fantasizing about how my life might look tomorrow, next week, or years from now. as many of you know, my husband (whom i love, dearly) has heart disease. he has had some major stuff go wrong with that ticker, and i have been lucky enough to walk through both of those extremely hard events right by his side. one thing that i can tell you, however, is that both of his heart attacks have left me a little…scared. when i'm in a really good place, i look at my husband with love, affection, admiration, and respect. i see him for who he is right in that very moment. i adore him. when i'm in a bad place, a fear place, i look at him with sadness. i feel like, tony is sand that i'm desperately trying to grasp and it's just slipping through my fingers. i'm afraid of losing him. i'm desperate to see inside his heart and know exactly how it's looking in there. are his arteries clear? is the blood flowing just right? is there any damage? once i get into this fear space, it's really hard for me to get out. i start thinking about my kids, how will i raise them without a father, if something happens to tony? how will i move on without him? maybe i shouldn't have a third child, because i can probably support two kids on my own, but three? i'm just not sure about three. fear makes me controlling. i start getting panicky and try to micro-manage his food choices. i remind him more than i should about his gym habits. what i can tell you about fear is this…it can ruin a good thing. it can corrode a marriage and hurt the very person you are trying to grasp onto with all your might. i have to work daily, truly every single day, at living in the present. i have to enjoy my husband for exactly who he is at this exact moment. i have to trust, that the God who created this universe in all of it's beauty has a plan that is so much bigger and so much more beautiful than any plan that i could come up with. i have to live in a place of faith- that the very God who created my husband, loves him more than i do. a friend said to me once- "if you're going to fantasize about the future, why not imagine that it's just the way you want it?" so that's what i do. when i get really consumed by what "might" happen, i try to visualize sitting on a porch (probably somewhere in the pacific northwest) next to tony, watching our grandchildren running through the sprinklers (or stomping in puddles, it being the pacific northwest and all). You take my breath away with such wisdom at such a young age. I'm so grateful that you and Tony found each other. He has a beautiful family and is a happy man. So much more than so many. May God continue to richly bless you.